British children used to play conkers in the autumn when the horse-chestnut trees started to drop their shiny brown nuts. They would select a suitable chestnut, drill a hole in it and thread it onto a string, then swing their conker at that of an opponent until one of them broke. But the game has fallen out of favour. Children spend less time outdoors and rarely have access to chestnut trees. 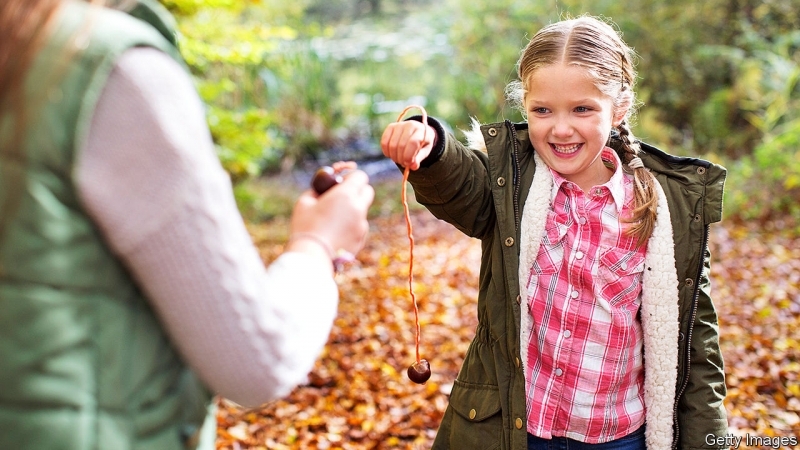 Besides, many schools have banned conkers games, worried that they might cause injuries or trigger nut allergies.